Psalm 77, written by Asaph, begins with Asaph's expressed temporary belief that perhaps God had forgotten him. But Asaph doesn't stay in this frame of mind for long. Because Asaph has known the Lord and knows He is faithful. So he looks back and appeals to the past to declare God's provision and promises back to Him. Oh, what a treasure when, in addition to Scriptural truth and reminders, the Lord gives us an opportunity to look back to personal memories of his faithfulness in times past. For Grace Ministries in Thailand, they are experiencing a time of blessing right now that will serve as a reminder of God's provision in future times. 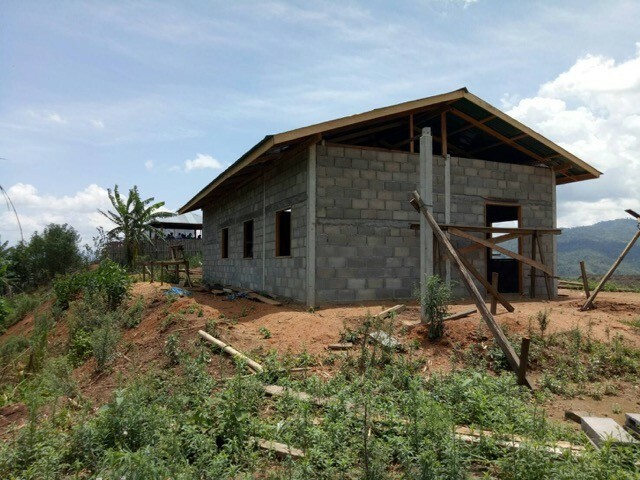 Right now, Grace Ministries is thanking the Lord for new land he has given them that they will use for their leadership training, the orphanage, and kids camps in Thailand. The Lord has also blessed this ministry with a new church building in Myanmar (about an hour from the Thailand border) as well! The church in Myanmar is growing steadily, adding new believers to its number, under the pastoral care of four Burmese pastors and two Thai pastors. Pastor Kiatisak, the leader of Grace Ministries, was reflecting recently on the Lord's goodness to call more Thai people from the hill tribes over the past 18 years of ministry. We're celebrating 18 years of God's faithfulness. He has blessed with over one thousand youth's souls who have come to know the Lord as their personal Savior. Some have grown up in their spiritual life at our Grace Ministries hill tribes churches and quite a few of these young people are serving the Lord full time in other churches now. Praise God for the work He has done and will do in the hill tribes of Thailand and beyond.